CSM Spotlights are articles that highlight candidates for the Council of Stellar Management that have interest in low-sec space. While not necessarily faction warfare minded, any changes to the way things in low-sec operate will alter our lives in Faction Warfare, so these candidates are incredibly important to how we play EVE. The following is a spotlight on Matias Otero, and what he hopes to bring to the table. As of two days ago, Matias Otero is running for CSM9. Most readers of this site are probably asking themselves: “Who is Matias Otero?” For the past year Matias has been known as the founder and owner of Brave Newbies Inc. He often posts his adventures on Reddit, and his alliance now claims enough members to rank as the second largest alliance in-game. Matias has built up BNI from a small group of trial accounts working together to a mega-alliance that has major influence both in null-sec and low-sec. But most importantly, Brave Newbies (as the name implies), are new player friendly. Of the many PvP options in EVE, Faction Warfare is one of the easiest to get started with. It has a low barrier of entry, pilots can accomplish much with cheap ships, and at the end of the day the ISK isn’t bad either. So how does this relate to Matias and BNI? I know of many eve vets that enjoy the style and camaraderie that Brave Newbies has to offer, and this is why Matias Otero running for CSM is important. He’s a newer player, Brave Newbies hang out in low sec often, and his goals relate to ours. Of all the capsuleers that have applied to the CSM in recent years, Matias is one of the few that genuinely represent the interests of low sec players. Matias’ first goal is long-term growth, as improving the narrative of EVE online will help it expand and prosper. New players (potential new FW pilots) mean a more active war zone, and an enriched low-sec experience. Many CSM appointees focus on major end game projects that involve null-sec alliances. Matias’ priority lies in bringing new capsuleers into the fold.The benefit of this are immediate: New players mean a continued expansion of the game we all love. Matias’ second goal is maximizing fun per hour. I know as CEO I spend a tremendous amount of time dealing with permissions, contracts, and the variety of other duties that encompass running a corporation. If the process of corp/alliance management could be streamlined, everyone in EVE stands to gain. Furthermore, the EVE UI itself represents a significant barrier of entry to many new capsuleers. Difficulty navigating around menus frustrates and confuses new players. It’s one thing to know where everything is after many years of playing the game, but it’s another to have new players spend more time getting comfortable with the user interface than blowing ships up. Finally, Matias would like to further unleash EVE’s sandbox potential. As he mentioned in his CSM forum thread, other games are starting to imitate EVE, whether it’s DayZ or Rust. EVE is no longer the cutting edge gameplay experience, and Matias proposes changes to EVE’s current risk-reward setup to address these concerns. 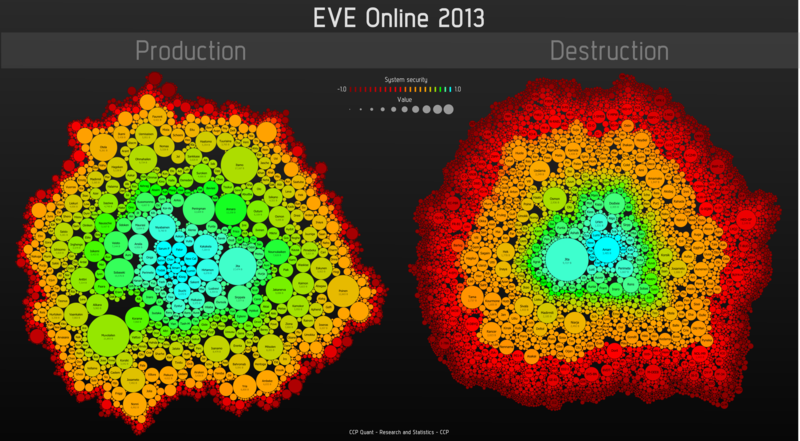 As shown by CCP Quant, production vs destruction in EVE is not as balanced as it could be. As we can see, CCP Quant illustrates the stark difference between production and destruction in null sec and high sec. Rebalancing this dichotomy could allow for a richer and more egalitarian EVE experience. Matias’ has yet to demonstrate concrete plans, but a focus on increased low-sec production could only create more opportunities for our low-sec homes. Overall, Matias represents a unique chance for low-sec citizens everywhere, as his agendas are in line with the goals we care about. Indeed, it is the rare candidate who does not primarily represent either the major null-sec powers or a vested interest in high-sec. More players, better interface usability and more low-sec opportunities are ideas all of us can get behind. Stay tuned for more spotlights, including Sugar Kyle and Steve Ronuken. I always had a soft spot for Brave Newbies. They’re always up for a fight, even against the odds.